A one-time treatment for a devastating rare disease could be paid for with an installment plan as soon as this summer in Massachusetts. Novartis's AveXis unit is involved in the discussions. Its gene therapy could cost up to $5 million per treatment. Organizers hope the plan will ensure patients can access a potentially life-changing treatment.  Business Insider is the first to report on the discussions and the interest from AveXis. In recent years, no treatments were even available for the rare, devastating disease known as spinal muscular atrophy. Now, in a matter of months, an experimental one-time therapy designed to address the disease's underlying genetic cause could treat the disorder. First though, someone has to pay for its potential multimillion-dollar pricetag. A new effort is underway in Massachusetts to figure out how to do that. The idea is to let health insurers pay for the treatment over several years. If it succeeds, organizers hope that it could prove to be a viable model for the entire US. Novartis's AveXis unit, which makes the gene therapy, Zolgensma, and has suggested a price tag of up to $5 million could be appropriate, is in talks to participate. 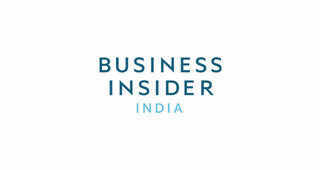 Business Insider is the first to report both the plan and interest from Novartis's AveXis. Americans have long paid for big-ticket items like houses and cars in a similar manner. But the plan - if it is finalized - would mark one of the first such approaches for a medicine. And Novartis would only receive each of its payment if the treatment is effective. "Think of it as installment plan that's then tied to how well the therapy works. This would be a car loan but you've still got to see if the car is going to work," Mark Trusheim, strategic director of the MIT Center for Biomedical Innovation's NEWDIGS program, told Business Insider. NEWDIGS brings organizations together to discuss how the US health system will be able to pay for costly cures, and the Massachusetts initiative came out of that, Trusheim said. Gene therapy is a cutting-edge technology with the potential to cure diseases by tinkering with the body's genetic material. Drugmakers have cited the value these new products could bring to patients and the medical system to justify their high prices. Spinal muscular atrophy is a rare genetic condition that affects muscle movement in children and is the leading genetic cause of mortality in infants. About 10,000 to 25,000 individuals in the U.S. are thought to have SMA, according to the SMA Foundation. But far fewer individuals would likely be treated with Zolgensma, since it's thought that only newborns would be eligible. In Massachusetts, only one or two dozen patients are expected each year at most, according to Trusheim. A US approval decision Zolgensma, is expected in May, and Novartis isn't likely to release a precise price tag until then. An independent group that evaluates drug prices has said the treatment could merit a price of $1.6 million to $5 million, Novartis Pharmaceuticals CEO Paul Hudson told Business Insider this week, noting that the cost of ventilators and another expensive therapy for the rare disease over a five-year period were, in total, comparable. Hudson heads up the business that oversees AveXis's SMA gene therapy. AveXis would not comment specifically about its participation in the Massachusetts program, but said in a statement that gene therapies require new approaches in the US health system. "Our objective is to ensure patients get access to this therapy, so we can make a meaningful difference in their lives," the AveXis statement said. "We are working closely with payers to ensure we establish appropriate prices reflecting the value of gene therapy and explore creative options for payers, including installment payment options, as well as outcomes-based arrangements." As the Massachusetts pilot currently stands, the price of Zolgensma would be paid by health insurers in five annual installments, spread out over four years. It is similar to a plan unveiled by biotech Bluebird Bio earlier this week, MIT's Trusheim said. The program is starting with the Novartis product, but intends to add other gene therapies over time. Many but not all health insurers in Massachusetts are involved in the discussions, Trusheim said, and others could eventually join. Its organizers hope to launch it by this summer, and they believe they have addressed many of the challenges of this type of approach. One crucial challenge for these types of installment plans is what happens when patients switch health insurers. In this case, the insurers that intend to participate in the Massachusetts pilot have agreed to pick up the remaining payments left on the installment plan. "If you believe these are likely to be life-changing to the people who need them, then we shouldn't let cost get in the way," Dr. Michael Sherman, chief medical officer of the nonprofit health insurer Harvard Pilgrim, told Business Insider. If the program gets off the ground, Harvard Pilgrim intends to be a part of it, he said. The planners are still working out other details. For instance, even though the payment structure and performance metrics for the gene therapy would be the same across insurers, each individual health plan would negotiate its own price for Zolgensma. Insurers will also have to work out with Novartis what happens if a patient moves to another state. That might include continuing to make the payments or potentially making a one-time exit payment. Another challenge is a legal requirement that the government Medicaid program get the "best price" on a drug. That could complicate this type of installment plan, since a failed treatment in which only one installment is paid could be interpreted as violating that "best price" guarantee. Because spinal muscular atrophy is so rare, health insurers haven't expressed concerns about Zolgensma's price tag specifically, Hudson told Business Insider this week. Instead, they'd like the flexibility to pay in installments if needed, according to Hudson. "What they're not saying is, 'We're worried about the price.' What they are saying is, 'We may have concerns about staging payments,'" Hudson said. 1A revolutionary drug that could treat a rare and devastating disease is prohibitively expensive. But one state has a plan to pay for its potential $5 million price tag.